Good Friend Electric displays a great selection of beautiful chandeliers, sconces, table lamps, lamp shades, outdoor lighting, paddle fans, central vacuums, recessed and track lighting. Styles ranging from traditional to contemporary. Good Friend features the latest in designs and energy-saving selections. We also stock Nutone door chimes, central vacuums and accessories. Good Friend’s experienced staff can help you select a single bulb or layout all the lighting and electrical products for your home or business. Today, ceiling fans have become essential decorative elements in most homes. Selecting the proper ceiling fan can be confusing, we can help. They are available in hundreds – even thousands – of styles and finishes, and come with or without light kits. Many full featured fans come with a hand held remote or wall mounted control. Talk with our ceiling fan specialists about your particular needs. Ceiling fans also save on your electric bill. How? The evaporative cooling effects of moving air makes the room temperature feel seven degrees cooler to your skin, allowing you to set your air conditioning at a higher temperature and still be comfortable in your home. Outdoor rated ceiling fans have also been designed to create outdoor living areas that are as comfortable as an indoor living room. Good quality wet or damp rated fans with the correct blade pitch and weather-resistant finishes are essential in New Jersey’s humid climates. 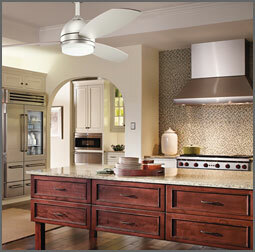 Good Friend Electric carries the area’s largest selection of quality ceiling fans. We have an incredible number of styles and finishes so you get just the right look for your home. Most of our fan motors come with a limited lifetime warranty. Beginning January 1, 2011, light bulb manufacturers were required to meet new efficiency standards to save energy. The standard, passed by Congress and signed by President George W. Bush, became effective nationwide January 1, 2012. What does this mean for you? Basically, the new efficiency standards foretell the end of incandescent light bulbs as we know them. Incandescent bulbs actually “burn” a filament to create light. The burning of the filament results in a huge amount of heat loss that all of us have experienced as burned fingertips when we accidently touch a light bulb that has been on for a while. That heat is wasted energy. We pay for it every day with higher electricity bills and higher home cooling costs. LED (Light Emitting Diodes) are solid state semi-conductors that emit light when an electrical charge passes through them. These light sources have proven to be up to 10x more efficient than a standard incandescent bulb and twice as efficient as compact fluorescent bulbs. 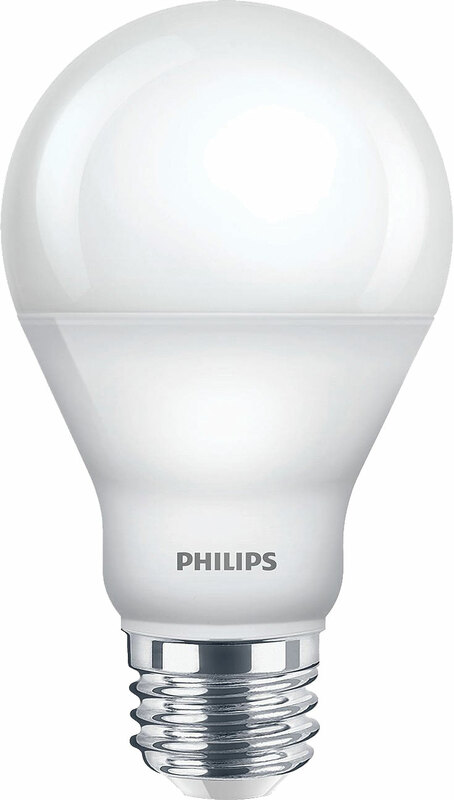 LED bulbs last 12x longer than incandescent bulbs and 5x longer than CFLs. Quality LED retrofit recessed lights and replacement bulbs are now under $20. Factor in the life expectancy for an LED bulb is around 25,000 hours vs 2,000 hours for an incandescent bulb and the big cost difference in powering these bulbs and you can see why everyone is switching to LED. LED replacement bulbs are now being manufactured for all types of lighting from outdoor landscape lighting to replacement fluorescent tubes. And LED’s ease of application makes it a designer’s best friend. They can be used underwater, programmed with different colors, and are even available on flexible ribbon for ease of installation and in confined places. As more manufacturers embrace LED, there will be a plethora of new lighting designs that become possible. Check out our web site regularly for the most innovative lighting designs. Recessed lighting is the first choice for many lighting designers. Why? Because it provides an even level of light throughout the home or office, which, combined with dimmers and other light sources, allows you to create the perfect illumination for any activity. Another benefit of recessed lighting is that it never goes out of style. Recessed lighting trims are designed to blend with ceiling colors. Properly specified and installed, recessed lighting provides pleasing light levels without drawing attention to itself. Recessed lighting can also be used to “spotlight” particular features in a room. For example, in a formal dining room place narrow beam recessed lighting on either side of a chandelier for a sparkling effect on fine glass, china and silver. Wide spacing or narrow beam recessed lighting in a room can create a dramatic spot lighting effect. If you are planning to install recessed lighting in an existing ceiling that has no fixtures, there are a few considerations. 1) Is there insulation in the ceiling? If so, you will need to purchase IC recessed housings. 2) Do you have access to the ceiling from above or will you be cutting into the ceiling from below? This will impact the type of housings you choose. 3) How high are the ceilings? 4) Do you want general illumination or do you want to spotlight architectural features or artwork? This will affect placement of your fixtures and bulb type. Installing new recessed lighting is also an opportunity to save on your electricity bills. LED technology is much more efficient than incandescent and does not generate heat build up which can drive up air conditioning costs in the summer. LED also lasts at least 25,000 to 50,000 hours – which means that you will most likely never have to replace your LED lighting. Outdoor and landscape lighting creates an inviting outdoor environment that will increase safety and security, provide easy driveway access, and enhance the beauty of your home both from the inside looking out and from the outside looking in. The first thing to understand is the difference between “outdoor lanterns” and “landscape lighting”. Outdoor lanterns are highly decorative visual elements designed to coordinate with the architectural style of your home. They are made to be seen. Outdoor lanterns can be hung from porch ceilings, installed on posts or columns, and are most often installed near entryways and garage doors. Outdoor lanterns are the jewelry that provide a first impression about your home. While some landscape lighting – such as path lights – are decorative elements and are designed to be seen, most landscape lighting is appreciated for the lighting effects that it creates. These fixtures are hung in trees, camouflaged as rocks, submerged in water or installed close to the ground to minimize them from view – leaving lighting designers free to create magical lighting effects that illuminate driveways and walking paths, accent architectural features, and highlight landscape. Properly specified and installed – outdoor and landscape lighting should work together to create a spectacular effect on the outside of your home. LED is perfect for Outdoor and Landscape Lighting applications. Incandescent bulbs tend to have a shortened life when exposed to rigorous weather and they are time consuming to replace. LED bulbs use a lot less electricity and they stand up better to harsh weather conditions. There are now LED replacement bulbs for just about any outdoor lighting fixture and once you install them, chances are you will never have to replace. If you already have landscape lighting installed, it is easy to change out incandescent bulbs with LED replacement bulbs. 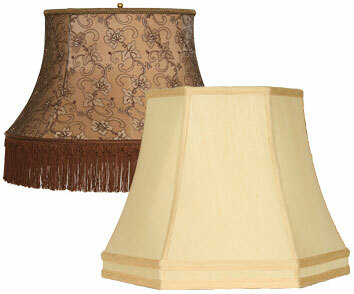 Many of us have lamps that look so worn and old that we just hide them away in a back room or attic. The real culprit is the shade or a harp that is missing a simple part. Our Toms River lighting showroom has the largest collection of lamp shades in central New Jersey and an experienced lamp repair department to make your old favorite lamp as good as new! There’s an art to fitting the proper shade with the base. So when you finally decide to make that trip to rejuvenate your lamp, please bring your lamp base for a proper fit. Shades come in all sizes, shapes and styles. Whether it’s draped, bell-shaped, drum-shaped, hard back, soft back, rectangle, square, oval, scalloped, cylindrical or even an umbrella shape – The professionals at Good Friend Electric pride themselves on making your lamp the talk of the town! Lighting the interior of your home requires “layers” of lighting – a combination of ambient lighting, task lighting and accent lighting. Ambient lighting can be achieved with track lighting, ceiling lighting, chandeliers, wall sconces, ceiling fans and recessed lighting. Most homes have some of these lighting features already installed. This is the first layer of lighting in your home. Task lighting is directed to specific areas so you can prepare meals, read, see yourself in the bathroom mirror or help perform other focused tasks we do such as reading, playing games, cooking, grooming, etc.. Task lighting includes under counter lights, table lamps, bathroom and powder room vanity lights, island or pool table lights, floor lamps, pendant lights, track lighting and recessed lighting. Accent lighting creates the layers in your lighting plan. Do you have some artwork that makes a great conversation piece? One dramatically lit piece of artwork at the end of a hall will draw visitors to it. Do you have beautiful landscaping? Use landscape lighting in conjunction with large window areas to brings another layer of light and interest into the home environment. 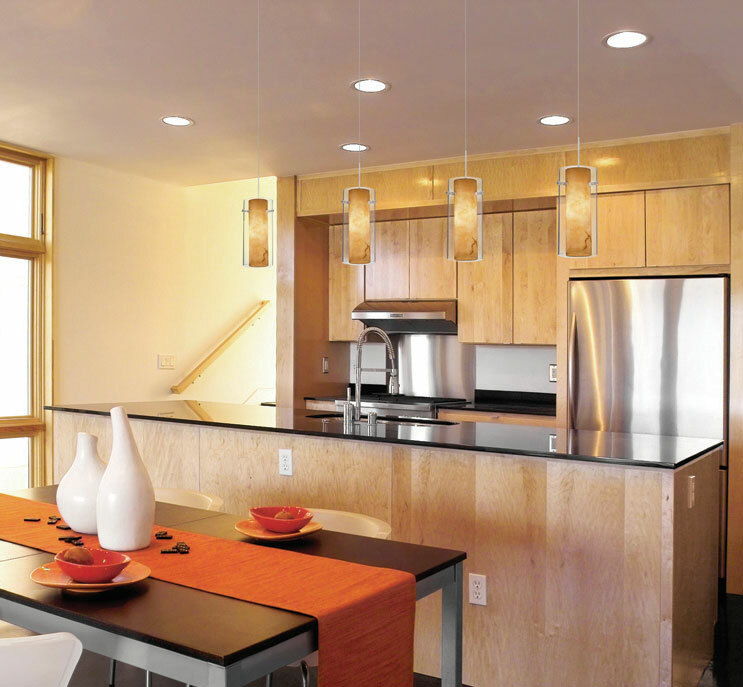 Ceiling cove lighting is a great way to soften the lighting in any room – especially when combined with dimmers. Remember to layer the lighting in your home with ambient, then task, and finally accent lighting. All who enter your home will be dazzled by the transformation. Need help with your lighting plan? Come to the professionals at Good Friend Electric. 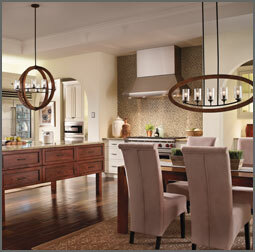 Visit our lighting showroom for a complete selection of lighting, fans and home accents. PLUS, see our new selection of LED lighting. For Kitchens, fluorescent and LED lighting is still the most efficient way to create shadow free spaces. But there’s plenty of opportunity to add spice and individuality with colorful, stylish hanging pendants. Chandeliers are making their way back into the kitchen again, too. Some are even incorporated into functional pot racks. In Living Rooms and Bedroom – think about highlighting particular areas – a floor lamp near a favorite reading chair can make the space that much more enjoyable. A favorite lamp becomes a conversation piece when it is put in the right location. Chandeliers are available in just about any design direction you want to go. Don’t forget to include wall dimmers to control light levels and to save energy. For year-round comfort and maximum energy savings, most ceiling fans include a reversible switch that allows the ceiling fans to be used during cool or warm weather. In the summer, keep your home cool by running your ceiling fan counterclockwise. In the winter, run your ceiling fan clockwise to re-circulate warm air from the ceiling, eliminating cold spots and drafts. 1. To determine how far apart to space your recessed lights, divide the height of the ceiling by two. If a room has an 8 foot ceiling, you should space your recessed lights approximately 4 feet apart. If the ceiling is 10 feet, you’ll want to put about 5 feet of space in between each fixture. 2. Avoid recessed lighting fixtures placed too close together or in rows down the center of the room. This type of installation can have the look of an airport runway. 3. Whether you choose fixtures with standard line voltage, low voltage halogen, LED or fluorescent fixtures, the basic sizes are 4-, 5-, or 6-inches in diameter. The 6-inch fixtures can be used in tall entryways or two-story hallways, while the smaller 4-inch sizes work better in smaller spaces since they have a sleeker, contemporary look with minimal intrusion. 4. To adequately illuminate a kitchen with LED bulbs, you should allow about .5 watts per square foot. Take the total square feet of your kitchen and multiply by .5 to determine the total wattage needed. 5. Save on your electric bill with LED replacement bulbs. Yes, LED bulbs cost more – but they produce the same amount of light and use 1/10th of the energy. And since the average kilowatt/hour rate in New Jersey is 15 cents, the savings start adding up as soon as switch on the LED lights – over $247 over the lifetime of the LED bulb. 1. Start with the entrance of your home. Good lighting here will provide a sense of direction and a comfortable greeting for your visitors. 2. Do not shine your outdoor lighting directly at your visitors. It creates an unpleasant blinding effect. Instead illuminate trees, interesting landscaping and points along the pathway to your home. 3. Accent the architectural features of your home by “grazing” interesting textures like brick or stone walls. 4. Illuminate special features like fountains, pools, and artwork for a breathtaking effect. 1. Enhance the safety of your home by positioning landscape lighting to illuminate pathways, handrails and steps. 2. Dimmers allow you to set the perfect light levels and they save energy. 3. Interior and exterior lighting can carry out as design theme with consistent finishes and glass textures colors.